The 2-Button Panic Keyfob is designed for personal emergency situations to signal a panic alarm in the event of distress when the victim is unable to reach another communication device. The 2-Button Panic Keyfob is designed to prevent false panic alarms by requiring that both buttons be depressed simultaneously in order to send out an alarm. The keyfob includes a handy belt-clip or it can be attached to a keyring. 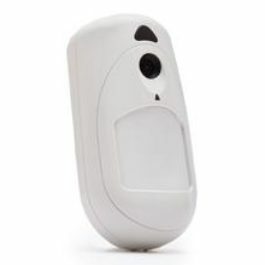 The eyeWAVE™ Wireless PIR Camera Detector is a battery powered PIR detector that includes an integrated camera for visual verification and is compatible with the Agility™ 3 security system. 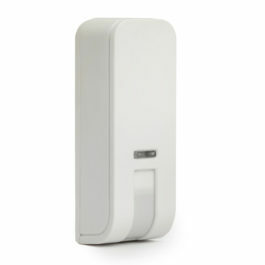 RISCO’s 2-way Wireless Door/ Window Contact RWX73M is a supervised transmitter ideal for wireless perimeter door/window protection in residential and small commercial applications. 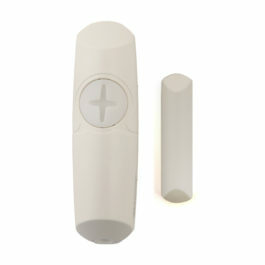 The transmitter has a built in magnetic contact and additional zone input that can be connected to wired magnetic contacts or to other wired sensors that can be used for various control or security applications. It operates together with RISCO Group’s 2-Way wireless systems and is powered by a standard 3-V lithium battery. Its 2-Way wireless communication provides higher security, reduced wireless congestion, reduced RF communication and remote Control & Diagnostics. 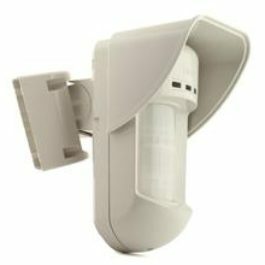 The RWX73M is easy to install using a simple bracket to wall installation, and easy to program using RISCO’s remote configuration software. ShockTec™ Plus is a digital shock detector with a door/window magnetic contact for internal use that provides reliable 24-hour perimeter protection. A break-in is detected as soon as the intruder attempts to force, smash, drill or even saw through the protected window, door, wall or roof. ShockTec™ employs an advanced digital microprocessor to analyze the vibration signal received from the electric sensor. A unique feature of ShockTec™ Plus is digital sampling of the signal simultaneously in two separate channels, each channel amplified at a different gain. This provides an extremely wide dynamic range of the sampled signal, enabling precise measurement and analysis of the shock signal. 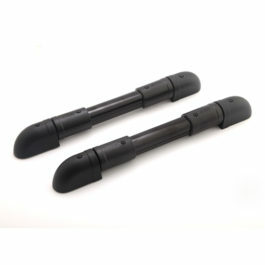 The ShockTec™ Plus model has a magnetic reed switch for double protection of shock plus opening of windows or doors, connected to two separate zones in the panel. Any attempt to defeat the detector by using large magnets, as defined by EN-50131-2-6 Security Grade 2 requirements, will cause a tamper. 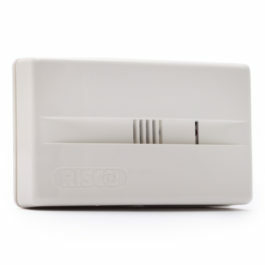 RISCO Group’s 2-Way Wireless Curtain PIR Detector is designed for use in residential and commercial environments for the protection of windows and large glass doors. Incorporating unique Sunlight Protection technology, false alarms are greatly reduced. 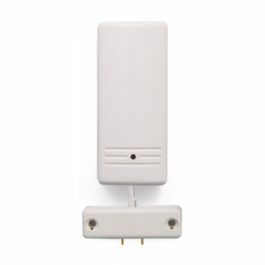 The Curtain Detector is easily installed on the wall adjacent to the window or with the supplied 90° bracket. 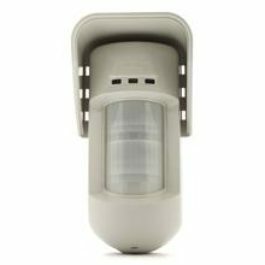 The Wireless Flood Detector can be easily integrated into RISCO Group wireless and hybrid security systems to promptly detect and alert to the presence of even small water leaks. From the kitchen to a basement, from a water tank to a refrigerator, our Wireless Flood Detector is easy to install and can save home and business owners untold damages. In the case of a leak, the Wireless Flood Detector will send a notification immediately to the user’s smartphone device. With all around protection, the Wireless Flood Detector continues to work even when the security system is disarmed, for full peace of mind. Water damage is a common problem that can result from the most mundane of incidents: a burst pipe, a leaky roof or toilet, even faulty windows. The majority of homeowner insurance policies cover damage caused by water leaks, but only if the leak is detected and reported promptly. By installing RISCO Group’s Wireless Flood Detector, accidents can be prevented in a timely and cost-effective manner. The wireless twin beams provide perimeter protection even when windows are left open, and allows freedom of movement without threat of false alarms. Available in a kit format. Powered by breakthrough technologies, high performance and resilience is ensured even in direct sunlight. Installation has never been easier with plug & play auto-setup and patent pending front mounting of beam modules. 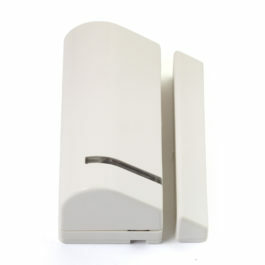 The wireless twin beams are compatible with all RISCO Group wireless and hybrid security systems.